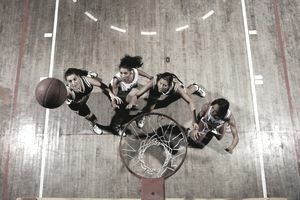 College athletics are extremely popular and feature sports for every kind of fan. They are also huge money makers for universities and hometowns. For many student athletes, college sports are the means to fame and fortune. For coaches and athletic directors, a team's performance may be the only thing keeping them in a job. It's little wonder then that the temptation and potential for corruption and rule breaking would be so great. That's where the job of an NCAA Investigator comes in. Tasked with making sure member universities keep their noses clean, NCAA investigators are members of the National Collegiate Athletic Association's enforcement staff. Investigators scour documents and conduct interviews to determine whether or not universities, students, coaches or agents participated in prohibited behavior. They work diligently to maintain the integrity of collegiate athletics across all divisions and within all sports. They also work to ensure that universities and student-athletes maintain high academic standards and that, despite the high stakes and big money involved in major college sports, learning comes first. NCAA investigators look into nearly every aspect of college sports, including allegations of gambling, taking money and gifts from agents, academic misconduct, and accusations of "pay for play." They may self-initiate investigations based on reports of allegations, or they may act at the request of a university or coach who self-reports a potential violation. Universities, coaches, and students who are found to have committed infractions face a range of disciplinary actions, up to and including loss of player eligibility or the loss of an entire program. Investigators must be very thorough be mindful of the potential consequences of their investigations. For this reason, NCAA investigations can take weeks, months, or possibly years before they are seen all the way to a conclusion. Investigators must be willing and able to travel, as much of their information gathering will occur on campuses across the country. According to the NCAA, enforcement staff generally handle around 25 major investigations and look into up to 4,000 lesser violations each year. NCAA investigators do not have police powers, as their investigations are civil and administrative matters and therefore are conducted independently of any criminal investigation. If criminal misconduct is uncovered, the appropriate law enforcement agency will conduct a separate investigation. NCAA investigators must have strong analytical skills and should be accustomed to working independently. Written communications skills are a must. Investigators must be able to produce well-written and comprehensive reports that clearly articulate their findings. Though investigative experience has not been necessary for the past, it is certainly helpful. Recent reorganization within the enforcement office, as well as the hiring of a longtime police officer to direct football investigations, suggests that the NCAA may place a higher value on investigative experience moving forward. A background in or strong working knowledge of college athletics is also desirable. Many investigators are former college athletes and coaches. The enforcement staff also consists of many people who have received advanced education, especially law degrees. Working for the NCAA is a much sought-after career and as a result, the NCAA does not normally take unsolicited applications. For this reason, those interested in a career as an NCAA investigator will need to build up their professional network and find contacts in the industry. A good start can be seeking employment in a local college or university's internal compliance department, where one can gain information, insight, and experience in the process of complying with and enforcing NCAA rules. Is a Career as an NCAA Investigator Right for You? Administrative investigative careers are perfect for those with an inquisitive mind and a knack for analysis. If you love college sports and are excited at the prospect of helping to maintain the integrity of the institution, working as an NCAA investigator may be just the right career for you.